In an industry where most things are overly complicated, simplicity stands out. And this commitment to the basics seems to be working for Vida Divina, a relative newcomer to the health and wellness space. Vida Divina is a wellness MLM that sells all sorts of health products, from miracle capsules to goji berries to detox teas and more. Sounds like…a typical health and wellness MLM, right? Vida Divina has actually done pretty well in a competitive space (see: Neways). They’ve avoided lawsuits and other negative PR, which bodes well for their future. But should you get involved? Here’s what you need to know. 1. What does Vida Divina sell? Vida Divina creates products that people need to live a better life: health, cosmetics, food and drink, weight loss, and even healthy treats for pets. Natural blends and unique formulas that can enhance the body’s abilities to cope with the stresses of a modern world and the lack of nutrients in today’s mass-produced food. 2. What are Vida Divina’s most popular products? Their top-selling product is TeDivina, a detox tea with persimmon leaves, holy thistle, Malva leaves, marsh, blessed thistle, papaya, myrrh, chamomile, ginger, cranberry, Siberian Chaga, Ganoderma, and fiber. This tea was designed to cleanse your mind and body. Factor Divina is their other claim to fame. It’s a fruit and vegetable beverage with 32 health-boosting components and antioxidants, including Chaga, Noni, and other savory ingredients. Another popular product is their coffee: black, cappuccino, hot chocolate, cafe latte, cafe mocha, hazelnut latte, Tongkat Ali, and Sculpt, which is a unique pairing of Ganoderma lucidium and Garcinia Cambogia to help burn fat and control the appetite. 3. How much does it cost to join Vida Divina? When you sign up with Vida Divina, you’ll need to buy one of four starter packages. The Standard package is $120. The Popular package is $300. The Premium package is $600. The Supreme package is $1,200. 4. Is Vida Divina a scam? Vida Divina is a legitimate business selling health-related products. They’ve done a great job of avoiding the typical traps of health and nutritional products—making overblown promises and health claims. They’re also pretty straightforward about the ingredients in their products, which is refreshing. 8. How many Vida Divina distributors are there? This information hasn’t been shared online. 9. What lawsuits have been filed? We didn’t see any lawsuits listed online. Product-wise, this company is solid. Business opportunity-wise, they’re decent, but there’s certainly better options out there. Either way, here’s the full review on Vida Divina. Vida Divina was founded by sales genius and charisma king Armand Puyolt, who got his start in door-to-door sales when he was a kid to help out his family financially. He was already being recognized on stage as a top salesperson by the young age of 16. He’s done a lot since then. By 18, he bought his own home. By 20, he hit a million. By 25, he reached 5 million. Puyolt has been involved with ACN, Metabolife, Kyani, and even Total Life Changes, where he was a million dollar earner. Vida Divina is his biggest venture yet into launching his own company, and he definitely hit the ground running. If they really believed that, they probably wouldn’t be in this industry, considering that providing success for only the top few is what makes MLM function. One thing that does raise a red flag is their announcement that they’re “FDA Certified.” Now, this could be a language barrier thing. Puyolt could really believe that registering with the FDA means his company is certified and, therefore, safe from legal problems. But the reality is the FDA doesn’t certify companies. If a company (like Vida Divina) wants to import food and beverage products, it must register its facility with the FDA. It costs $195 to do that, and all it does is alert that FDA that it will be producing products that will be imported to the U.S. for sale. How much does Vida Divina cost? 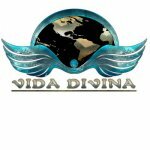 In order to become a Vida Divina Affiliate, you have to purchase a start-up kit, and they’re not cheap. The most affordable start-up kit is $120, and it comes with a 3 month supply of Te Divina. Other starter kits range from $300 to $1,200. And the more you pay, the more commissions and bonuses you qualify for. On top of that hefty start-up cost, you must also meet a minimum of 120 PV in auto-ship requirements every single month in order to stay active. The products here fall into the health and wellness category, with all your typical findings: detox teas, weight control, nutrition, performance, and skin care. Although, the company does offer a few fairly unique products. Vida Divina has two flagship products: Factor Divina and Te Divina. Factor Divina is a nutritional supplement drink made with over 32 vitamins and superfoods, including blueberry, green tea, goji berry, mangosteen, acai, spirulina, zarzamora, amalaki, and 20-something other hard-to-pronounce nutrients. Te Divina is a detox and weight loss tea. It contains 12 different herbs that are designed to rid your body of toxins and parasites. The tea is $60 for a box with 6 satchels, and each satchel makes one gallon of the tea. $10 for a gallon of tea isn’t the worst price I’ve ever heard, but it’s certainly not cheap. One of their most commonly used ingredients is chaga, a powerful medicinal mushroom that supposedly helps with everything from digestion to blood pressure to memory, allergies, ulcers, energy, and stress. It’s found in their Factor Divina supplement as well as their coffee, nutritional capsules, chocolate milk, and nutritional chews. The company also sells a chewing gum that helps with digestion, tongue strips containing HCG, and even a pomegranate flavored “sexual enhancement gel,” lol. The main ingredient in most of their products, chaga (a mushroom), has definitely been shown to have some powerful benefits. It’s been used for medicinal purposes for centuries in places like Russia and Poland to cleanse, disinfect, fight stomach and liver diseases, and even cancer. Chaga contains a lot of antioxidants, and there is good evidence that it stimulates the immune system. There’s also research to show that it could lower blood sugar and cholesterol. So, when the company says that their products can actually protect your DNA, they’re not lying. Their weight loss tea, Te Divina, has 12 different herbal ingredients, but the top listed ingredient is persimmon leaves. When taken in conjunction with medications such as aspirin, chaga can increase your risk of bleeding. You shouldn’t consume it if you have a bleeding disorder or before or after surgery. There really hasn’t been enough research done on chaga to identify all of its potential side effects, so it’s not recommended for women who are pregnant or breastfeeding. It’s also possible that since chaga activates the immune system, it could increase your chances of certain autoimmune diseases, so it’s not recommended for people who have multiple sclerosis, lupus, or rheumatoid arthritis. As for the tea, it’s all made of herbs that are generally pretty safe. It can cause constipation (there’s a lot of fiber in those herbs) and fluid retention, though, which are pretty opposed to weight loss. Retail commission with Vida Divina is 28%. Not bad, but nothing special compared to some of the top MLMs out there. They do offer fast track bonuses at a whopping 50%-70%, but those only last so long. If you start out strong, though, you can go in making decent money. Other bonuses include a 20% presentation bonus, a 50% generational matching bonus, a home mortgage bonus, vacation bonuses, and free product bonuses. They also offer binary team commission to anyone with 2 personally sponsored, active affiliates, one on their right leg, and one on their left leg. Binary commission start at 5% for the lowest ranking qualified affiliates and go up from there. Everything up to Bronze level stays under 10%, but once you hit that, your team commission could get all the way up to 20% at the highest ranks. Of course, the minimum pay leg volume to hit those highest ranks is 1 million. Good luck with that. Vida Divina is not a scam. In fact, their products are decently legit, for a health and wellness MLM. Their founder sounds like he definitely knows what he’s doing, too. The compensation plan is nothing spectacular, but it’s definitely fair. That being said, the start-up costs are high, and the monthly auto-ship requirements are more than some people’s car payment. Unless you have a network of family and friends who are DESPERATE to buy lots of weight loss tea and nutritional supplements, and I mean lots, you’re going to be stuck with a closet full of the stuff, and you’ll have lost more money than you made. The tea from Vida davina is complete scam!!! Send your money and get nothing, they just prey on the self conscious and desperate. NEVER ORDER THIS VIA FACEBOOK!!!! Are you aware of what the word Scam means? I am sorry you went through this experience…really. But Te Divina is no scam. I am a customer and have lost 30lbs using this tea. Weight loss is just one of the many benefits. Call customer service and let them know who did this to you period. UK reps are legally not supposed to be selling these products, we have had confirmation from compliance at Vida Divina that they have taken it upon themselves to sell without authorisation from the company. They are able to buy as consumers but NOT sell on. Hence, the only way they can make money is by recruiting. All Vida products are for personal consumption or for sale via vida website in the UK.. Meaning all products are NFR.. but yet distributors have been selling hand to hand since mid 2016!!! Vida and their leaders have been misleading people to gain money fraudulently..
JP, have you yourself have TE DIVINA? It doesn’t make people constipated so please don’t make such statement. Te Divina helps rebuild the Intestinal Flora and is design to get rid of constipation. Helps balance the PH of the body as it has an alkalining effect, apart from many other benefits. I have been taking it for 44 days and will continue taking it because it works. Te Divina doesn’t have excess fibre, has soluble fibre. Maybe would be a good idea for you to drink it at least 4 weeks in a row to see for yourself what effects has on you being aware that each person and body is different.